Good morning lovelies! Today's post is going to be all about beauty in the eyes of myself. It will touch on how I've come to be a blogger for nails and makeup, and how I overcame my fear of being on camera for everyone to see. Miranda, of Slashed Beauty, decided to round up a few of us bloggers to tell our story about beauty insecurities, what beauty means to us, and to give you guys some real-life experiences. I hope you'll stay and read my story and I encourage you to share yours in the comments of this post. Here goes...! Okay, so, let's be real here. The standards for beauty have become a little ridiculous as the years go on. Is there even a standard for beauty? For me personally, I have always been a pretty slender girl and at most I've gone up to 122 pounds for my 5'3" frame. In elementary and middle school I was severely concerned with my looks. Not because I needed to be pretty or wanted to be pretty. I was just not "in the know" about fashion and makeup. I wore glasses and my parents always let me pick out my own frames. Looking back, I did a horrible job. Not only that, I had braces, wore wide-leg jeans, over-sized t-shirts, and blue glitter hair mascara on bangs that I cut myself. Are you laughing because I sure am! Here is an AWFUL third grade picture and sixth grade picture. Seriously...what on EARTH was I thinking? Third grade...meh, not much control, but SIXTH grade? I was like, "Oh no, I can handle this all on my own! 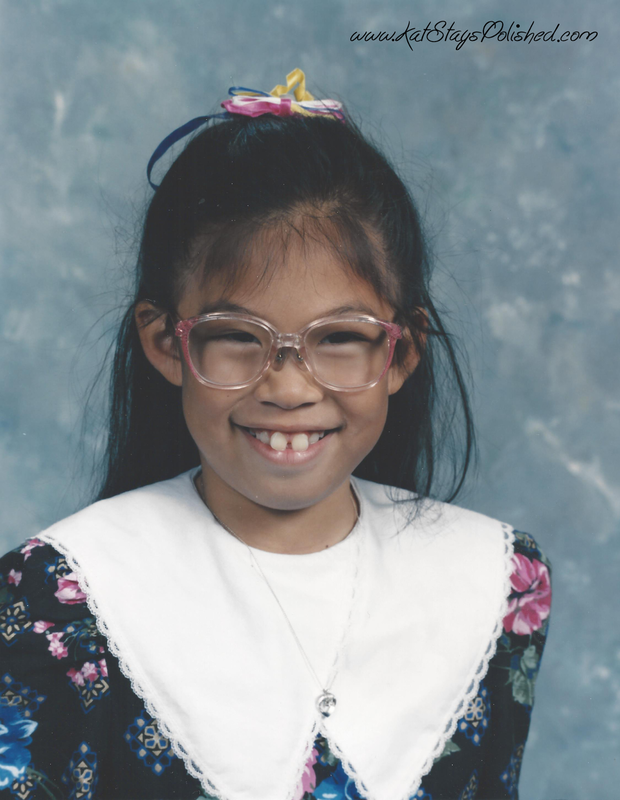 My 3rd grade picture has my own glasses choice. They had pink and glitter. DUH! As I got into high school, my looks got a little bit better but I was still nowhere near the level of insecurity I got as I moved into adulthood. Throughout the years of high school, I started to be more aware of what I put on my face and what clothes I wore. 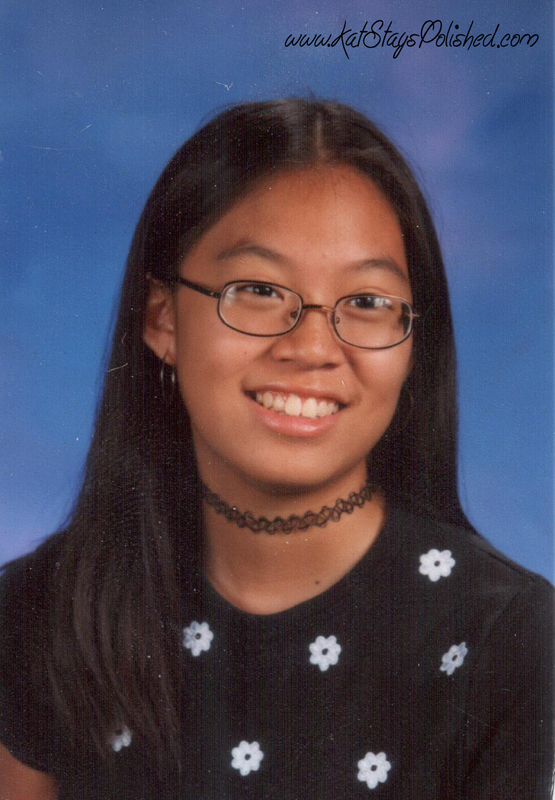 Here is a picture of tenth grade, I believe. 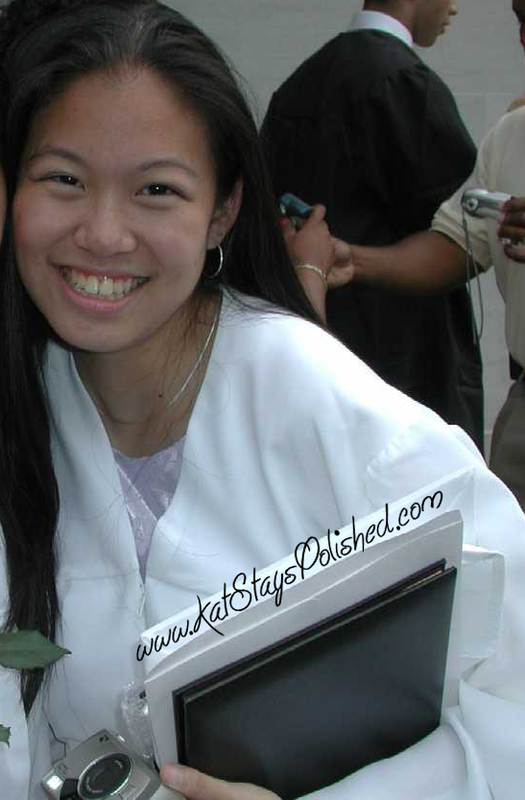 Here is a picture of the day of my high school graduation in 2002. A huge difference in one year and not much of a difference between now and that graduation picture. Fast forwarding to now, boy do I wish I looked like I did in high school. Does it really matter? No. Do I love myself for who I am? Honestly, most of the time. I'll get into why a little bit later. My husband has always loved me for me and has never tried to change me. He always says, "I don't know why you put on makeup. You're beautiful." He does, however, understand my reasoning for wanting to. He's very supportive and I love him for that. Beauty insecurities are stuck inside all of us. And...if you're one of the lucky ones who doesn't have ANY insecurities, bravo. For the rest of us, I think we tend to compare ourselves to celebrities, other bloggers, other vloggers, and even our peers and friends. For example, even getting into nail blogging. Boy are there some bloggers out there who have the most AMAZING nails, hands, and swatch pictures out there. Do I strive to be like them? Absolutely! Do I maintain a sense of individuality with my pictures and my posts? Absolutely! I try not to compare myself to others and I always try to do my personal best. There are those haters out there who will try to put me down, and even put down these great bloggers. To that I say, "Why don't you give it a go and see what kind of feedback you get." Nails are one thing, but showing my face in a video is another. Let's move on to the makeup portion of my story. I had just gotten back from a ladies day with some of my friends and I had this HUGE ULTA haul. Can I tell you that it took me over 10 minutes sitting in front of the camera to decide that I couldn't show my face? This was also before I really started wearing makeup, getting a collection, and learning about brushes. I hate public speaking but most of all, I hate being judged, especially from people I don't know. Who's judging me? I have no idea. I thought maybe the world! I filmed my haul from behind the camera so no one could see my face. The first video I ever showed my face in was a huge surprise mail package from Jesse's Girl. After that, I watched it over and over again and decided that it wasn't so bad. So, why all the nerves? Well, my face is prone to breakouts. YES! PIMPLES! That is the reason that kept me from doing videos! I was too afraid to be real. Isn't that sad? Because of my insecurities, I couldn't film my real self. WHY can't we just love each other for who we are? WHY? Even now, because of my breakouts, I HAVE to put on at least concealer to cover up the redness. Superficial? Maybe, but it makes me more comfortable. I know a lot of us have acne/breakout problems but I just don't know how to deal with it in terms of the way I feel about myself. I feel ugly! Makeup has sort of saved my life. Even though I know my breakouts are there, makeup has helped me hide the ugliness that is the pimple. Yea, I know the bumps are still there, but I can gain just a little more confidence with a little dab of concealer. I am on YouTube every day now with vlogs of my day. My husband and I have decided to make a lifestyle change and we don't mind showing ourselves on camera. If my vlogs can motivate just a few people, it's worth it! I know I've had some bad breakout days in some of these videos, but that's life! They'll go away eventually. Now that you've read the history of Kat, haha, let me tell you this. No matter what insecurities you are facing, whether it be your face, clothes, hair, body, remember that you don't have to conform to society's thought of what beauty is. YOU are beautiful. Makeup is supposed to enhance your natural beauty and just a little bit can go a long way. Don't do it for anyone else. Do it for you! There's a reason why I don't do makeup videos. Want to know why? Well, I used to post a few looks every now and again, but I soon realized that no one wanted to see me, someone who just does makeup the way I want to for ME. When people are looking up YT videos, they want to see this gorgeous face with lots of nice makeup and looks that you could possible do, but really, never in a million years would you try it. Okay so maybe that's the completely wrong perception. Yes, in fact it really is. Again, this goes back to not caring about what other people think. DO make posts and DO make videos because YOU want to. If someone doesn't like it, too bad for them. At least you gained a view from them, right? The moral of the story is that beauty is in the eye of the beholder. YOU are in control and YOU are so beautiful! The thing about beauty is that there's really no definition. Don't fall into the traps of trying to be perfect and trying to live up to societal standards. Answer this question for me. If you could live with only one beauty product what would it be and why? I know mine would definitely be my concealer. If I put NOTHING else on my face, at least I know the concealer will mask tiny imperfections. I am happy with who I am and the woman I have grown up to be, despite the beauty struggles I had growing up. You just have to find yourself and show off your best features. I hope by reading this, at the very least you've discovered what makes you beautiful and unique. I hope you'll start and continue to post pictures showing off your beautiful self! I love all of you! 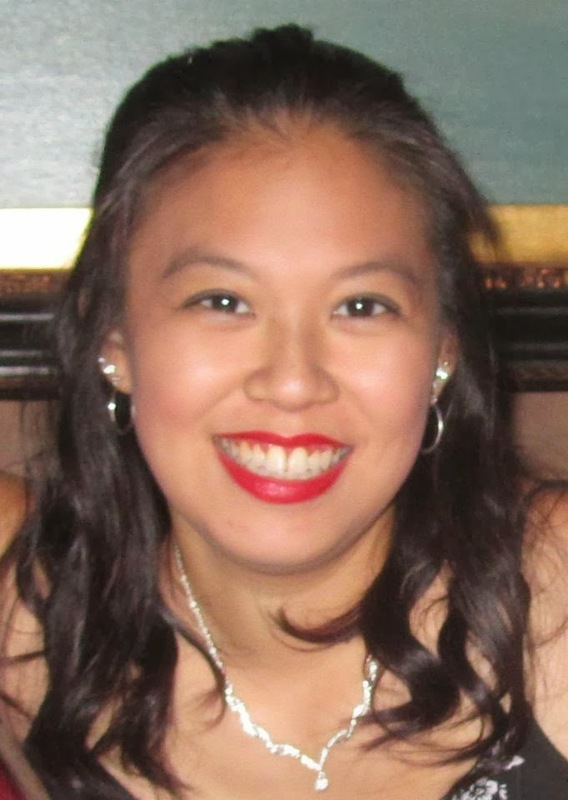 Please check out the other bloggers telling their story! Oh Kat your school pictures are freaking adorable! Thanks for sharing your story! Yeah... 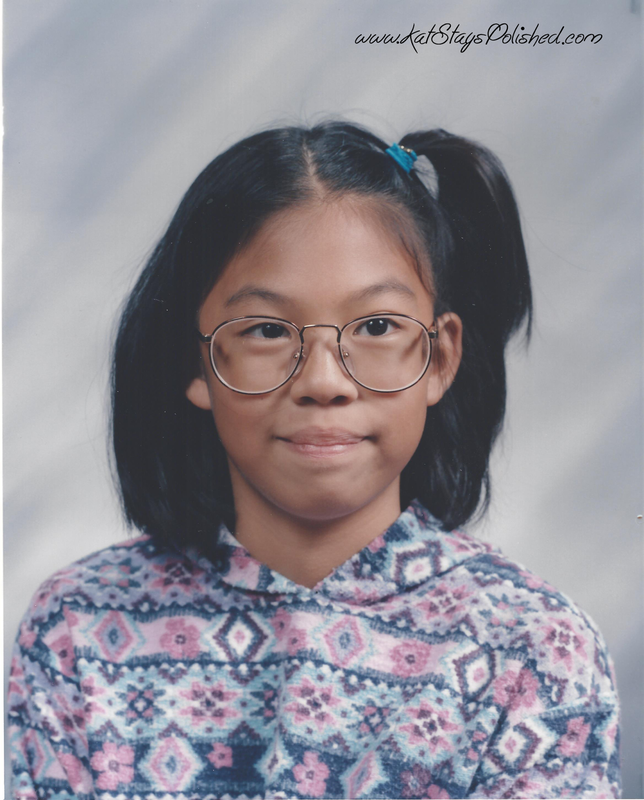 I picked out my own frames when I was in elementary school, too. One year I wanted to match my oldest brother, so I did. YIKES. Bravo Kat. I think that your journey in these blogs/vlogs are helping you grow into a remarkable woman. Coming to terms with your insecurities so early in life (and from my view it is early) will help you pass on those lessons to your own kids later on. I have been insecure all my life about my looks, my weight, etc. Now I mainly just deal with my size, but I have learned to stop comparing myself to others. I do not wear any makeup or dye my hair, even though it is filiing in with gray far too quickly -- I am loved for who I am and learning to love myself as well. Thank you for being so brave and put yourself out there to help others grow. I honestly think Makeup on you is a complete waste of your time and money. Maybe a little bit but not that much. It is 100% not needed. Very well written! :-) I'm pretty sure we had the same pink glitter glasses. Lol. I got mine in 2nd/3rd grade too. Kat, thanks for this great and honest post! I loved getting to know you a bit better. I love your school pics!! You are such a cutie!